Do you recognise this man? We would like to speak to him in connection with One Stop robbery in Basingstoke. 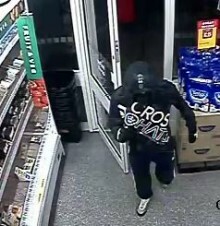 We would like to speak to the man pictured in connection with a robbery at a One Stop shop in Basingstoke. 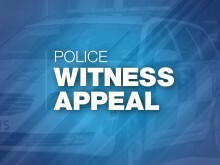 We would like to hear from anyone with information after a man was punched during an attempted robbery in New Milton. Officers are investigating after the body of a man was discovered in the River Itchen. We’re investigating a report of an attempted sexual assault in Bittern Close between 12.30am – 1am on Friday (5 April). We want to speak to three men about a burglary at a caravan in Waverley Park Holiday Centre in Old Road, East Cowes. Members of organised crime group which targeted cash machines around the country, were jailed for just over 32 years today, (Friday). We were called at 10.34pm on Tuesday 2 April to a report of a robbery at the One Stop store on North East Road Southampton. Police in Southampton are appealing for information on where the stock stolen in a series of armed robberies and burglaries against convenience stores is being sold on to. Do you recognise this man? 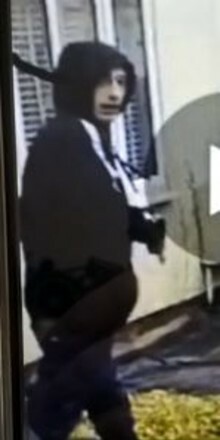 We need to speak to him about a burglary in Fleet.